All throughout 2018 I reduced my focus on this site to work on the biggest project I’ve ever undertaken, and that project is available today. My first ever book, The Web of Spider-Man Games: The Amazing and the (Not So) Spectacular is available to purchase now for the Amazon Kindle platform at the price of what a you would pay for a single issue at a comic book store. 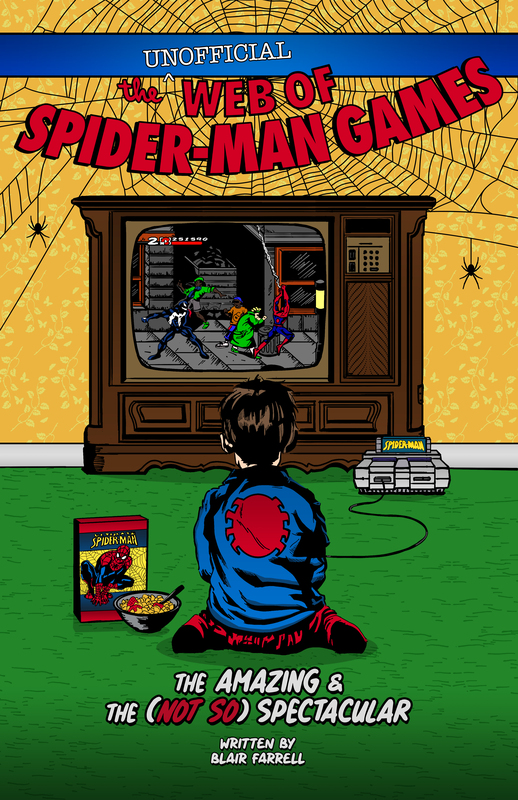 The Web of Spider-Man Games covers over fifty Spider-Man video games and features looks at titles that have never been formally reviewed for this site. As I’ve covered a lot of Spider-Man games over the years while running Comic Gamers Assemble, some games will show up that have been reviewed here, but those chapters have been polished to the point that the text is practically brand new. Accompanying each game are screen shots and select titles will have bonus features like vintage print ads, quotes and scores taken from publications like Electronic Gaming Monthly, Nintendo Power and Game Informer as well as personal stories written by myself. Oh, and you might want to take a peek after the credits for a look at potential things to come. You can buy the book HERE or look for it in your specific region.